"Paris is always a good idea" as Audrey Hepburn said. Whether it's your first or tenth visit, Paris is a good idea- especially in March! Join "Just Girls" for a Mother-Daughter Get-Away to Paris in March 2019. 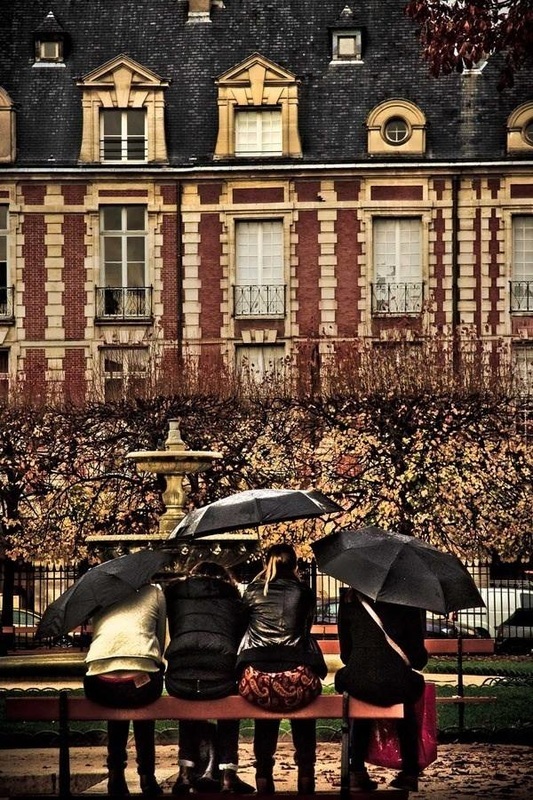 We will focus on living like a Parisienne for a few days, and authentic Paris will be yours. March is a wonderful time to visit - the airfare is low, hotel rates are less, the museums & galleries less crowded and shopping is amazing. 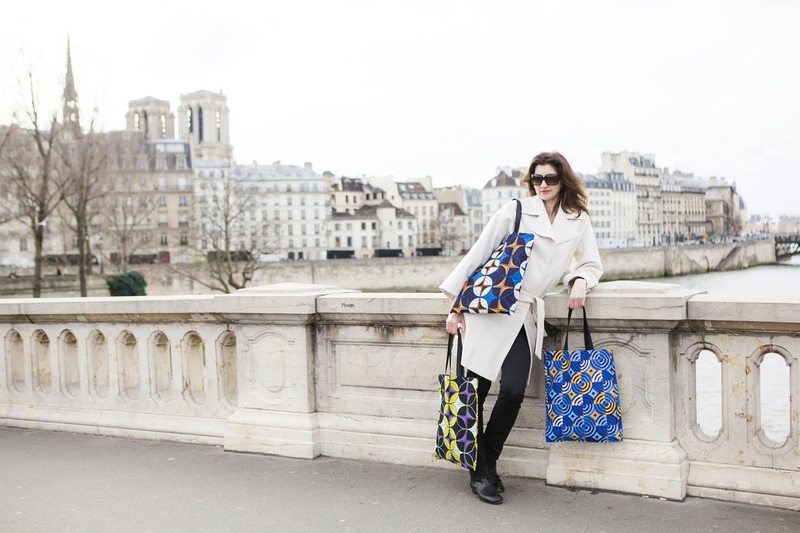 Our Get-Away to Paris is about exploring the city the way Parisians do. We will visit "passages" to see how women were shopping a 150 years ago (and still are! ), drink coffee or creamy hot chocolate in fabulous historic cafés, shop in exquisite boutiques in several different neighborhoods. We will visit some of the city's most beautiful museums on our own terms...with fewer crowds. We will dine & sip wine in trendy, eye-catching restaurants. Photo opportunities will abound as we walk through Paris at all different hours - enjoying the beauty of gardens in morning, historic buildings reflected on the River Seine, seeing the Arc de Triomphe silhouetted against a dusty pink sunset and the city lit up after dark. We will have a few of those amazing bright-blue sky days so you can sit outside at a café, look up and grab the rays. You’ll invariably be surrounded by locals. ​This trip offers you the flexibility to "join in" or "opt out" of some excursions as you like. Cost of meals are not included unless otherwise stated. Private transfer to hotel. We will start our Paris excursion with a short introductory walk around our distinctive neighborhood, the 7th arrondisement. Our lodging will be Saint Germain Hotel or similar, located near Rue du Bac, one of those marvellous Parisian streets that has everything one could ever want from food to fashion. Our morning will include a stroll along Paris’ famed Faubourg Saint-Honoré and the neighborhood full of lovely boutiques where we will do as the French say, "lèche les vitrines," which literally means to lick the windows as we oogle the window displays! 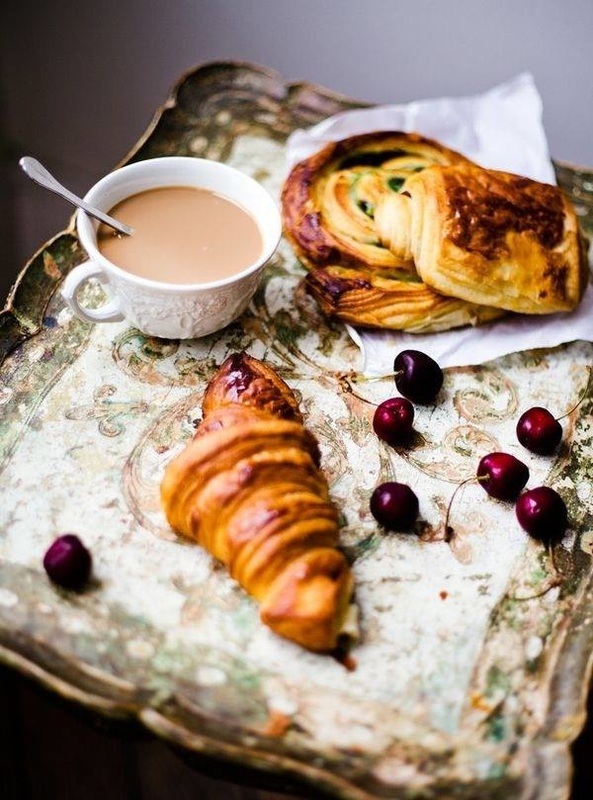 We will enjoy a relaxing lunch at an outdoor terrace in the Tuileries gardens if the sun is shinning and grab an afternoon indulgence at café Angelina known for its Belle-Epoque decor and their signature hot chocolate and mouth-watering pastries. Late afternoon you will will have an option to either settle into your room or join Jackie for bit of culture at Musée de l'Orangerie or the Musée d'Orsay featuring impressionist art. After sunset, we will enjoy our “welcome to Paris” cruise and champagne toast on the river Seine. Breakfast at the Hotel Start off your day with a delicious breakfast and get ready to view some of the greatest artistic masterpieces in the world. Louvre Masterpiece Tour: Be awestruck by the art you view in a privately guided tour of the Louvre Museum. It would take more than a lifetime to fully see and appreciate all the artwork within the Louvre. Your private guide and art expert can help illuminate the world's greatest masterpieces, including the enigmatic Mona Lisa. VIP Wine Tour and Tasting Experience a privately guided, one-of-a-kind tour through the former royal wine cellar established by King Louis XV’s sommelier. Afterward, enjoy a private wine tasting and receive 1 customized bottle with your very own wine label to take home with you! Junior Adventurers will enjoy a juice tasting. Lunch at a Local Restaurant Dine on French fare at one of Paris’ remarkable restaurants. Délicieux! 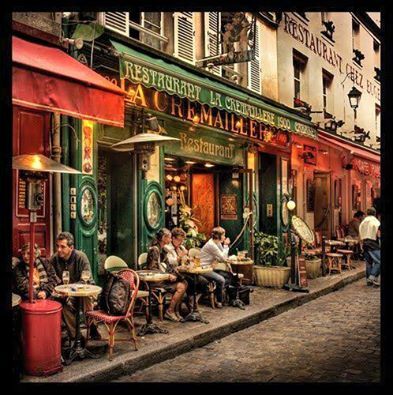 Afternoon On Your Own in Paris Spend the late afternoon as you wish—shopping, sightseeing or simply watching passersby at a charming sidewalk café. Your afternoon options are: Visit Île de la Cite (Notre Dame, the Flower & Bird markets and St. Chapelle) or visit the beautiful Paris Opera – the Palais Garnier and a few of Paris’ covered passages in the area– these are collections of small boutiques and cafes in glass covered walkways built in the 1700s and 1800s–located near our hotel. Imagine, we will start our day strolling through a traditional French farmers market, picking up seasonal ingredients to prepare a delicious French meal. Back at chef's kitchen, techniques and tips are introduced as we prepare our multi-course lunch. We will engage all of our senses while making fabulous memories - à la Julia Child! This evening we will explore the Paris with dinner with a view of the Eiffel tower. A Day at Versailles! We will arrive at the chateau and enter with our Versailles Passport tickets which give us full access to the Chateau, gardens and the Trianon palaces. We will enjoy a guided tour of the King’s Private Apartments (an area not on view to the general public). Following this, we will pick up our audio headsets for a self guided tour of the public rooms – including the Hall of Mirrors, and the King and Queen’s public chambers and the Chapel. Our day will include lunch in restaurant located in the famed gardens and the opportunity to visit the Trianon palaces (lived in by Napoleon and Josephine) and Marie Antoinette’s Hamlet (Hameau) a scaled version of a Norman village. Our Friday evening Paris will include a special wine tasting dinner - we will be greeted with a glass of champagne (mais oui!) and sample 3 wines paired with a specially prepared 3 course dinner. A trip to Giverny to Visit Claude Monet's Home and Gardens: Take a scenic trip to Giverny to visit the home of this great Impressionist painter. Discover his sources of inspiration in tranquil gardens bursting with vibrant blossoms, leafy trees and ponds adorned with water lilies. A fabulous fun thing to do on weekends in Paris is to explore the flea markets! We will first head to Montmartre for a walking tour of the village that once sat outside of Paris proper and still retains the feel of a village. Montmartre has a very interesting history and was home to the famous painters and writers at the turn of the last century. We will enjoy a guided tour of the neighborhood, stop to see the basilica of Sacre Coeur and the great views of Paris below. After a leisurely lunch in a neighborhood bistro we will take a quick metro ride to the Marché aux Puces de St.-Ouen, which is generally thought to be the biggest flea market in the world. Its a wonderful way to spend the day and there are some wonderful treasures to be found, even if captured only in your photographs. We will wrap up our week with a final "farewell dinner" - location is a surprise! •Complete all required information and sign the contract. •Trip insurance is highly recommended - based on age of traveler and amount of coverage. Please let Sue Thompson know you would like insurance and she will quote you the rates. • Tour coordinator services for all planned tour activities. • Round - trip private transfer service between Paris airport and the hotel. • Métro tickets are provided for Metro travel for the planned tour activities. • Any activities including museum admissions, tours, bike rental, concerts, or any other activity not planned for the Just Girls Travel group or listed on the tour itinerary. •Transportation for personal activities are NOT included. •Airfare, taxes and airport & hotel fees/taxes are NOT included.